Booker Prize winner Hilary Mantel has been longlisted for this year's Orange Prize for Fiction. 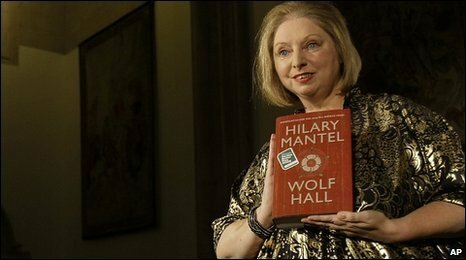 Mantel has been nominated for her historical novel Wolf Hall, based on Henry VIII's adviser Thomas Cromwell. She is joined on the 20-strong list by fellow Booker nominee Sarah Waters, previous Orange Prize winner Andrea Levy, and seven first-time novelists. Now in its 15th year, the Orange Prize celebrates excellence, originality and accessibility in women's writing. A shortlist will be revealed on 20 April, with the winner announced at a ceremony on 9 June, where the prize of £30,000 will be presented. Author and TV producer Daisy Goodwin, chairwoman of the judges, said it was a "muscular and pleasurable" longlist. "It was a tough judging process as there was a particularly strong range of books submitted from all over the world," she said. Goodwin is joined on the panel by rabbi, author and broadcaster Baroness Neuberger; novelist and critic Michele Roberts; journalist Miranda Sawyer; and British Vogue editor Alexandra Shulman. Five authors appearing on this year's list have previously been longlisted for the prize, and a further four authors have been previously shortlisted. Any woman writing in English, whatever her nationality, country of residence, age or subject matter, is eligible. Previous winners include Marilynne Robinson for Home (2009), Rose Tremain for The Road Home (2008), Chimamanda Ngozi Adichie for Half of a Yellow Sun (2007), Zadie Smith for On Beauty (2006).